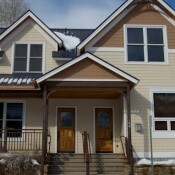 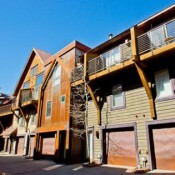 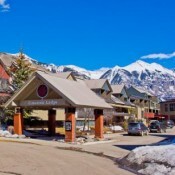 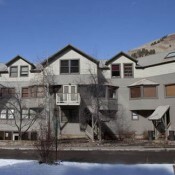 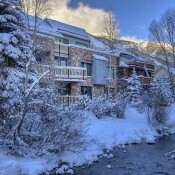 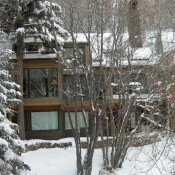 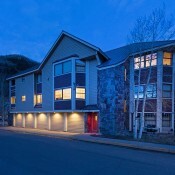 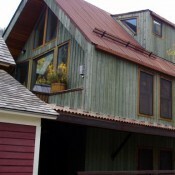 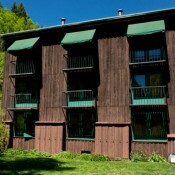 Lodging in Telluride is centered in two locations, both of which are in side-by-side box canyons. 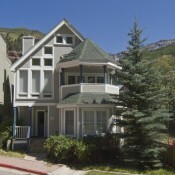 The left offers the Victorian Town of Telluride. 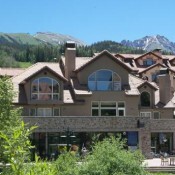 A few things have changed from when Sports America first ran trips to Telluride. 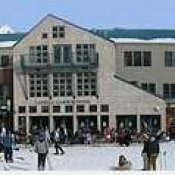 Coal is no longer a source of fuel, you can no longer walk down the center of Colorado Avenue at 9 PM, and the T-Lodge (Telluride Lodge) no longer has a bar serving shots of tequila for 25 cent. 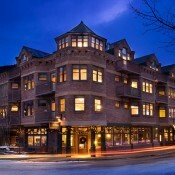 If memory serves us correct, the bar is now the only grocery, Clarks Market, store in town. 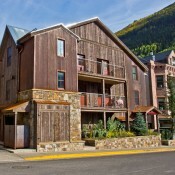 What might have changed is the popularity of the ski resort, Hotel Telluride is new, the addition of both the Oak Street Lift and the gondola which then created the need for a little more lodging at that end of town, and the old Victorian home are not selling for $16,000. 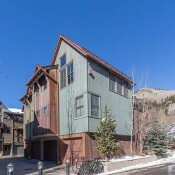 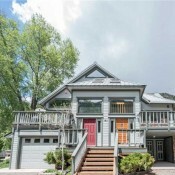 One reason for lodging in the Town of Telluride is it tends to be more reasonably priced, Aside from economics the main reason for selecting your accommodations in town is the nightlife and selection of excellent restaurants. 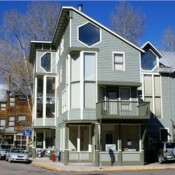 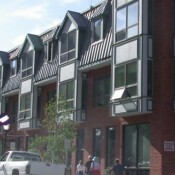 Most of the rental accommodations are to the right side of Colorado Avenue along Pacific Avenue and the San Miguel River. 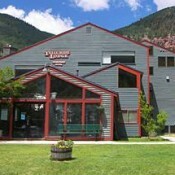 The Town of Telluride provides a free shuttle, The Galloping Goose. 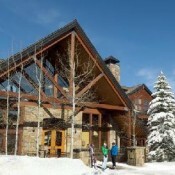 This shuttle runs from Coonskin Lift (near the T-Lodge) to the gondola. 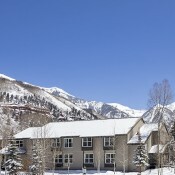 To the right and over the ridge from the Town is the new Mountain Village. 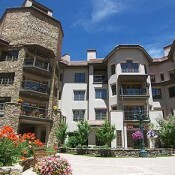 The Mountain Village is about 800 feet higher in elevation than the town. 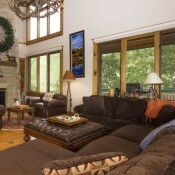 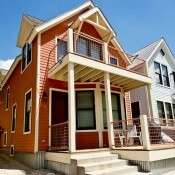 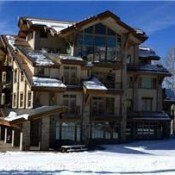 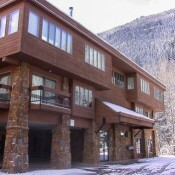 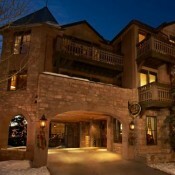 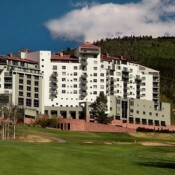 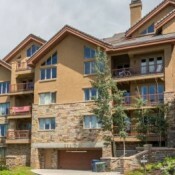 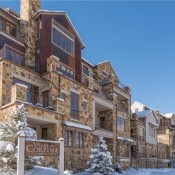 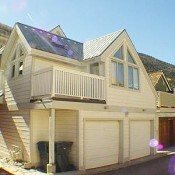 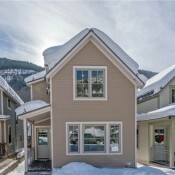 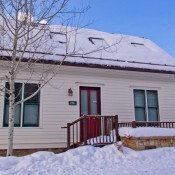 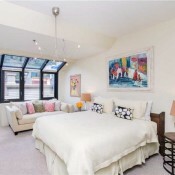 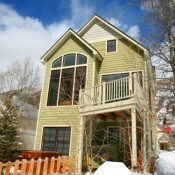 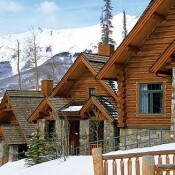 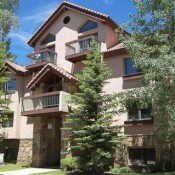 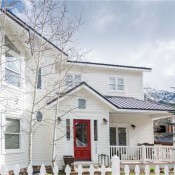 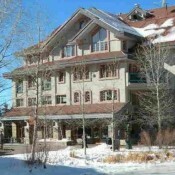 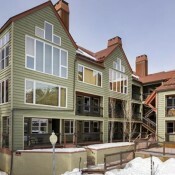 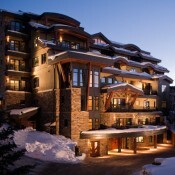 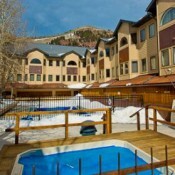 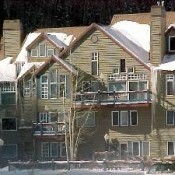 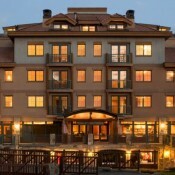 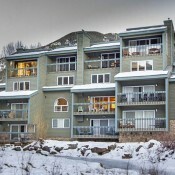 Lodging here provides mostly ski in/out, deluxe to luxury accommodations. 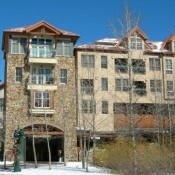 Much of the lodging has been developed around Village. 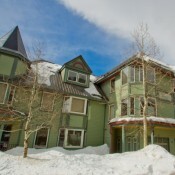 As the Mountain Village was developed newer accommodations were placed above Village offering some incredible 40 mile long, panoramic views of the San Miguel Mountain Range. 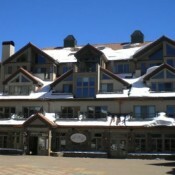 If you are lodging near the Mountain Village restaurants and shops are within walking distance of the base area. 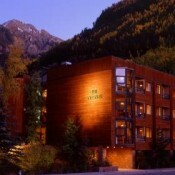 For those outside the core area, Telluride offers a people mover or certain lodges such as the Lodge at Mountain Village provides a private shuttle. 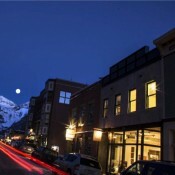 Staying in the Mountain Village does not mean you cannot spend your evenings in the Town of Telluride. 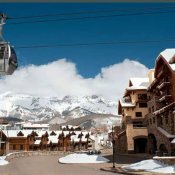 The resort runs the gondola from the center of the Village into the Town of Telluride from 7 am to midnight. 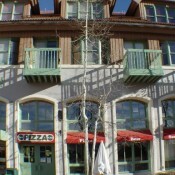 At the top of the ridge-line your welcome to get off the gondola and stop in Allred's Restaurant for dinner or a drink. 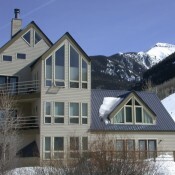 Below is a comprehensive guide to lodging in Telluride.